The shining Taekwondo star of BBIS Prerna Saini got an indelible opportunity to explore South Korea in the year 2015 as she had been selected in the top ten girls’ team for World Taekwondo Championship where she represented our school, city as well as our nation. 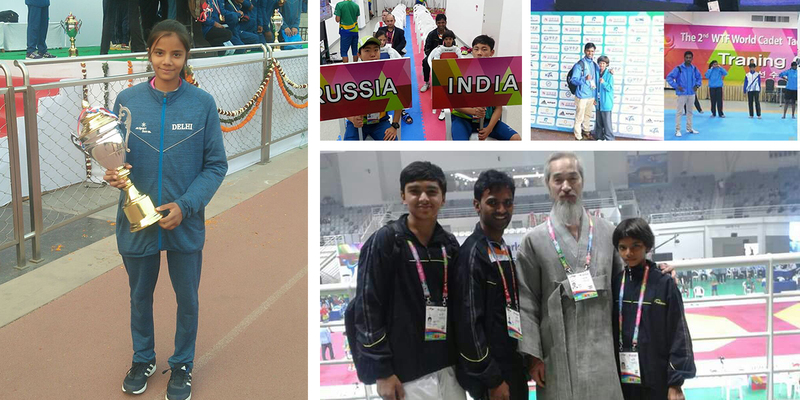 Many countries participated in this championship and Prerna Saini bagged this opportunity when she got selected in Bhopal and after training hard for two months, she was sent to Korea along with Indian Taekwondo Boys Team and Girls team. Apart from participating in such world level tournament, the Korean trip offered our sports travellers a dazzling range of experiences and beautiful landscapes where the Taekwondo team explored the interesting places like Kukkiwon, Jirisan National Park and Taekwondo Museum. The trip ensured unlimited learning and fun. The trip proved that travel is the most intensive mode of learning! It turned out to be the great learning exposure and indeed our Taekwondo gem proved to be the asset to our institution.